By buying this product you can collect up to 82 loyalty points. Your cart will total 82 points that can be converted into a voucher of Rs. 8.20. 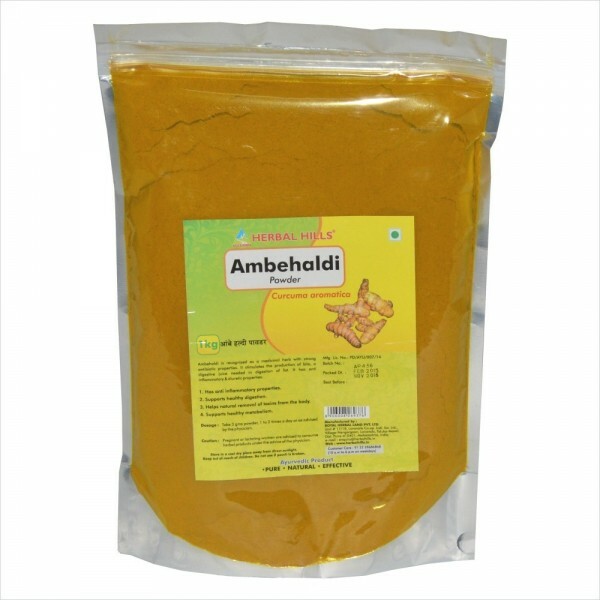 Ambehaldi Powder - 1 kg Pouch Ambehaldi is recognized as a medicinal herb with strong antibiotic properties. It stimulates the production of bile, a digestive juice needed in digestion of fat. 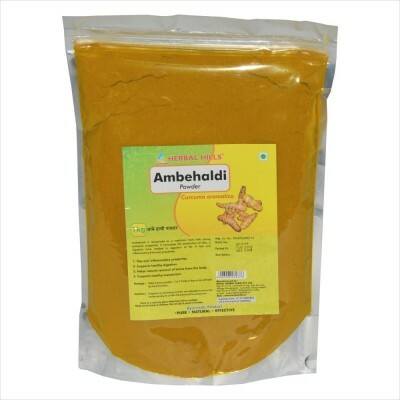 It has anti inflammatory & diuretics properties Benefits : - Has anti inflammatory properties. - Supports healthy digestion.. - Helps natural removal of toxins from the body. - Supports healthy metabolism.